Hi readers! Today brings another installment of the product showcase series. 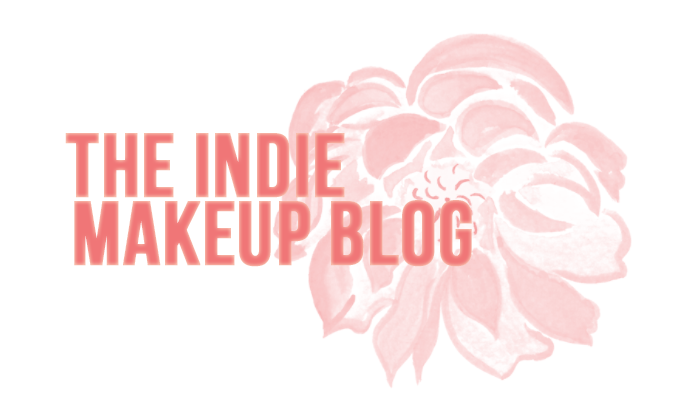 I haven't done one of these in a while but I'm definitely going to be doing these more often as it's nice to bust out and thoroughly review my tried-and-true products. The product I chose for today is Hello Waffle Sloth. 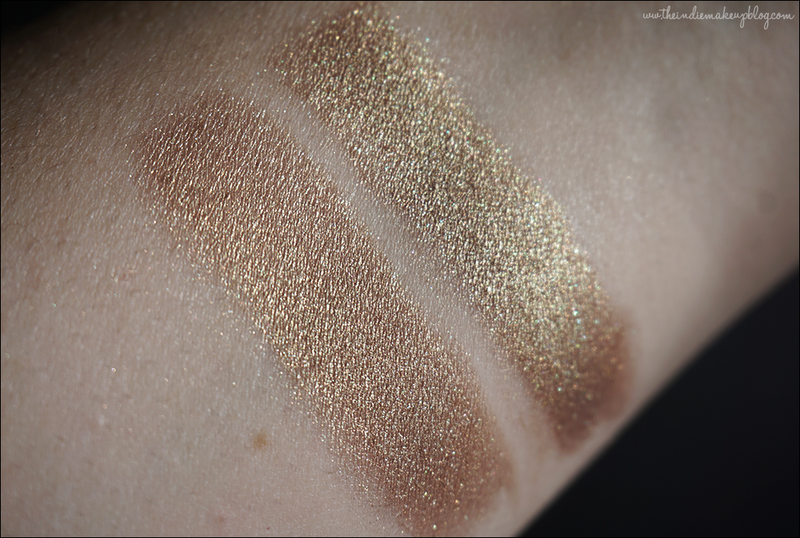 Hello Waffle isn't a company I've swatched and reviewed extensively on my blog but they were one of the first indie companies I tried and they're who made me initially interested in indie makeup after seeing the owner post swatches of the Rapunzel collection on Reddit. 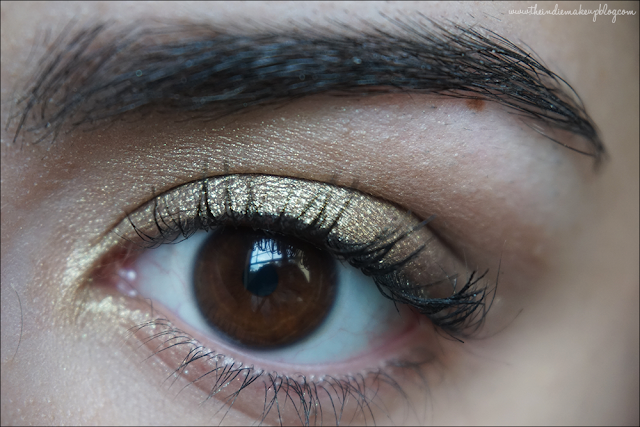 Sloth (lip safe, not vegan) is an olive brown with gorgeous gold shimmer and is part of the Ouroboros collection. This color is notoriously difficult to photograph since it looks different depending on the lighting. In direct light the color looks like a golden brown with heavy gold shimmer while indoor lighting gives it a distinctive olive-green tone. Pigmentation is good over primer, while the duochrome comes out strongest over a sticky base (I used Notoriously Morbid Shadow Bind). Indoor lighting (top to bottom) - Over bare skin, over Nars primer and packed on. Kind of a meh swatch but it showcases the green cast and how Sloth can be packed on densely. 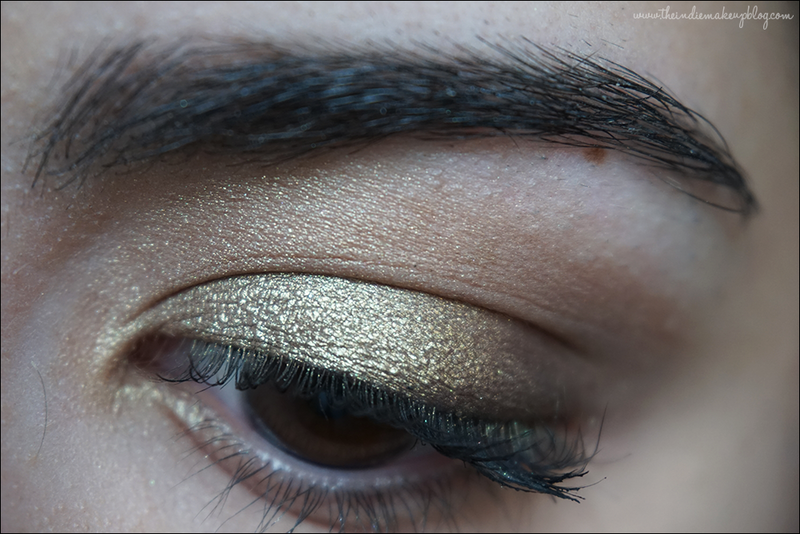 One-Shadow look featuring Sloth blended through the crease and applied over a sticky base on my lid and inner corner. This has got to be one of my favorite shadows to wear by itself. It shifts from green to gold to brown and it's beautiful. Now let's talk about the wear time on this baby. I accidentally fell asleep with my makeup on (don't judge ya'll) and my eyeshadow still looked PERFECT when I woke up. So I decided to wear see how it wore through my Zumba class. It still looked great even though a rigorous cardio workout. Talk about lasting power! 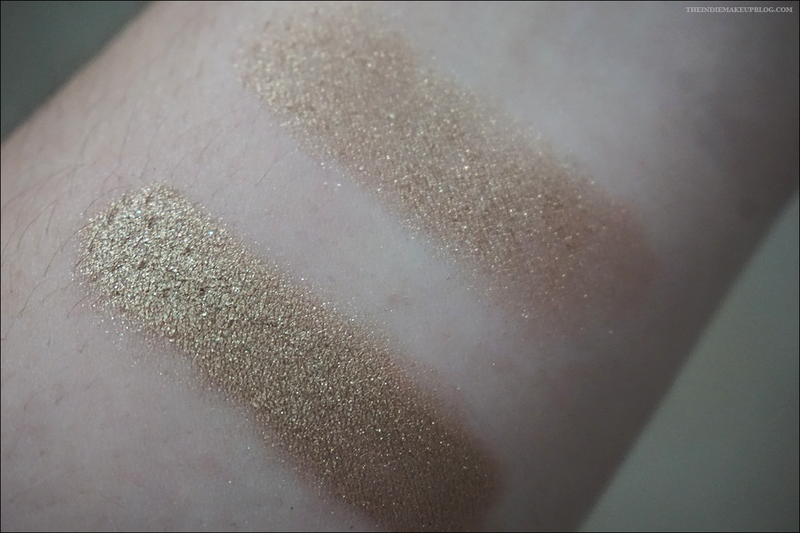 I'd recommend Sloth to any of you who love neutrals with a twist and brown-eyed girls.